A year and half ago I wrote a post about businesses being built by adding value to data coming from federal government sources. Businesses like Panjiva, BrightScope, and Mediagrif. With tongue planted firmly in cheek, I also offered a free idea to make someone famous/rich: use Federal Government purchasing data to tell the public, competitors, and other governments what prices the feds pay for everything they purchase. I suggested a website called WhatWePaid.gov. As with most of my “great” ideas, someone else had already had the same idea and had improved upon it. That person is Jeff Rubinstein and his company is SmartProcure. From talking to Jeff briefly and reading about his company in the Washington Post, SmartProcure pulls line item level data from state and local government Purchase Orders and, in return, provides these donating organizations free benchmarks on what they are paying relative to other public sector entities. The potentially money-making end of the business is selling data on these purchases to private sector vendors, who can see the pricing and volumes of their competitors. Selling information on public sector purchases to the private sector is already a $100 million business with the likes of Onvia, Deltek, Mediagrif, Bloomberg, and many others playing in the space. State and local governments are similar to each other and yet do not compete with each other. State and local data is also more relevant to more people than federal data. (For instance, I’m not sure what to do with the knowledge that an F-22 cost $X million (and may not work so well), except cry. State and local procurement data is still public information, so price at the line-item level, in theory should still be available and publishable. PO data should include all of the stuff sold below the dollar threshold that requires public posting. For instance, in the federal case purchases below $25k do not need to be posted on fedbizopps . That is a lot of indirect spend not currently reported on. This must be the spend analytics hairball for the ages! There is a coding system for state and local governments (NIGP), but its use is limited, and there is a fragmented ERP market for the public sector. Vendors are usually pretty sensitive about price data, even if it is public, and often find ways to obfuscate, bundle, or lobby their way to a little fog. 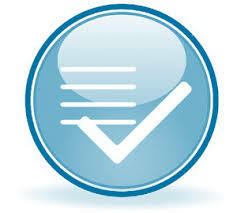 Once SmartProcure gets going, they will find ways to respond. It is not a static ecosystem. Is it possible to build a business that makes a lot of money, makes government more efficient, and helps the free market to work more efficiently–all at the same time? If SmartProcure can overcome these challenges, the answer will be yes. I’m rooting for them. After a stint as President of ServiceChannel, a facilities management SaaS platform, I'm back to consulting--and blogging. Yodlee on the Front Page of WSJ! 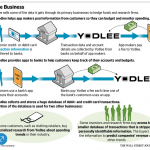 Yodlee's front page article on today's WSJ shines a light on their business of selling data to investors and retailers. Actually, the information SP sells already existed. It’s called Google, and it works a lot better for vendors than SP does. Subscribe to receive email notifications about Bob’s valuable new insights. Signup today for free, and receive email notifications about Bob's new insights. I will not sell or share your information with anyone.